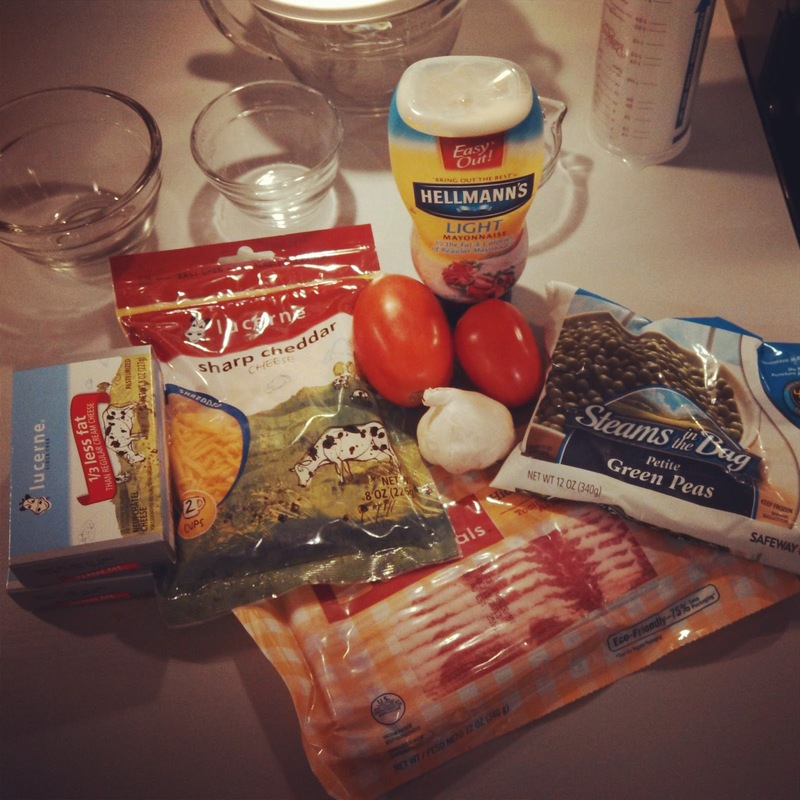 I know I was taunting you like crazy last week with those photos so I figured I'd be nice and post the recipe today. If you missed them check out and follow me on Instagram for when I post yummy photos. 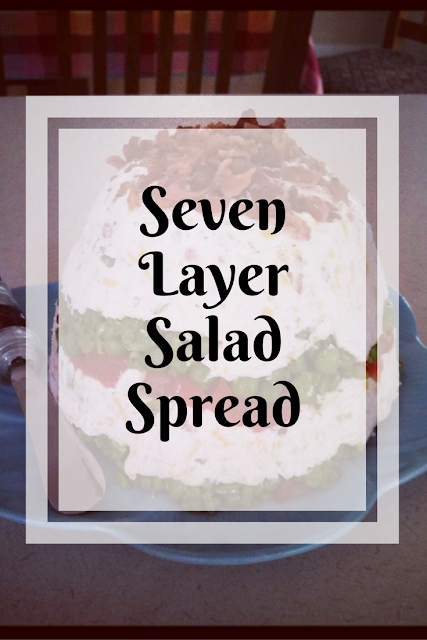 Betsy's Tips: I actually made this recipe lighter by using light cream cheese and mayo and 2% sharp cheddar. 1. Finely chop bacon using Food Chopper (I used my knife because I couldn't find my chopper); set aside 2 tbsp for garnish. 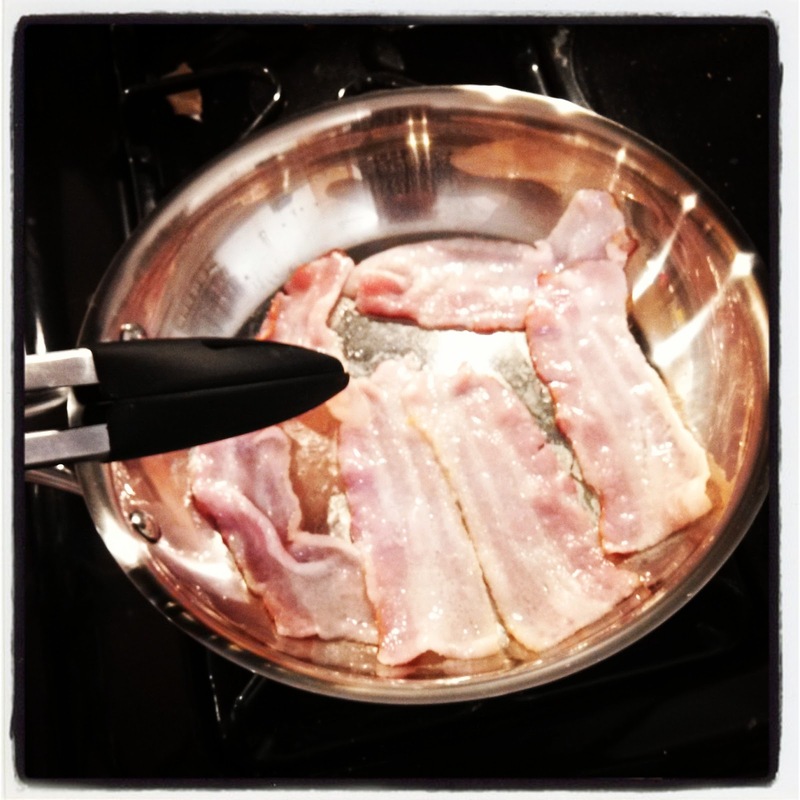 Tried out my Stainless Steel pan for bacon ... was not a fan I will stick to my Non-Stick! 2. Grate cheddar cheese using Microplane®Adjustable Coarse Grater. 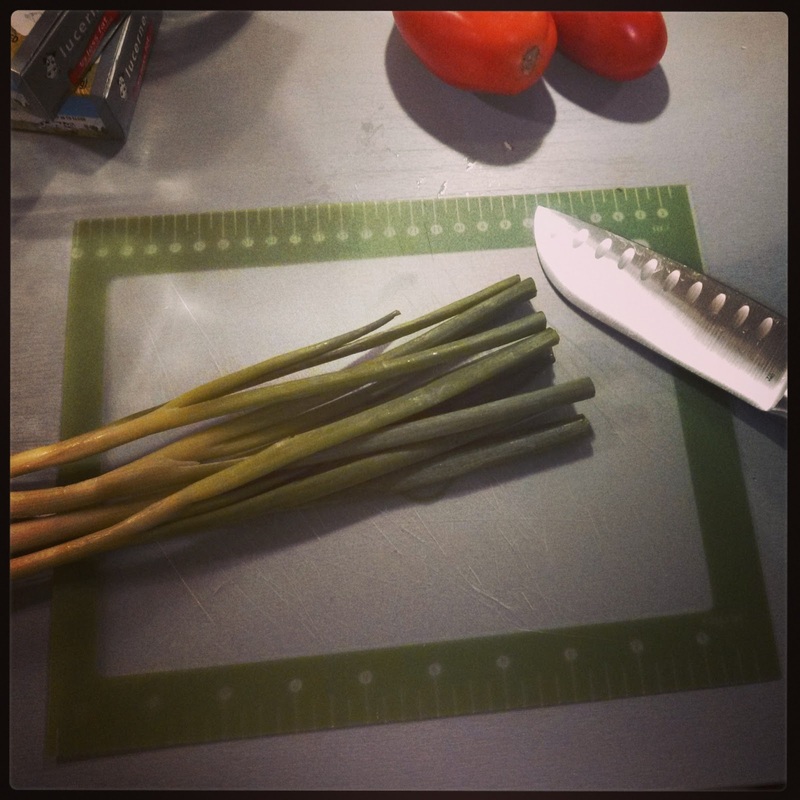 Slice green onions with Chef’s Knife. Seed and dice tomatoes; set aside. 3. 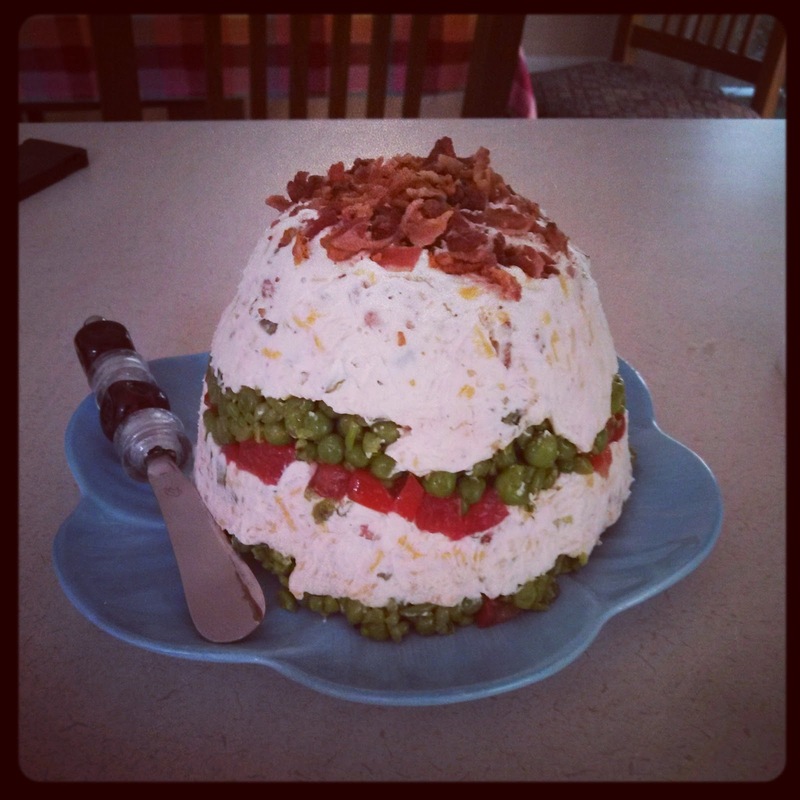 Place cream cheese in Classic Batter Bowl; microwave, uncovered, on HIGH 30 seconds or until slightly softened. 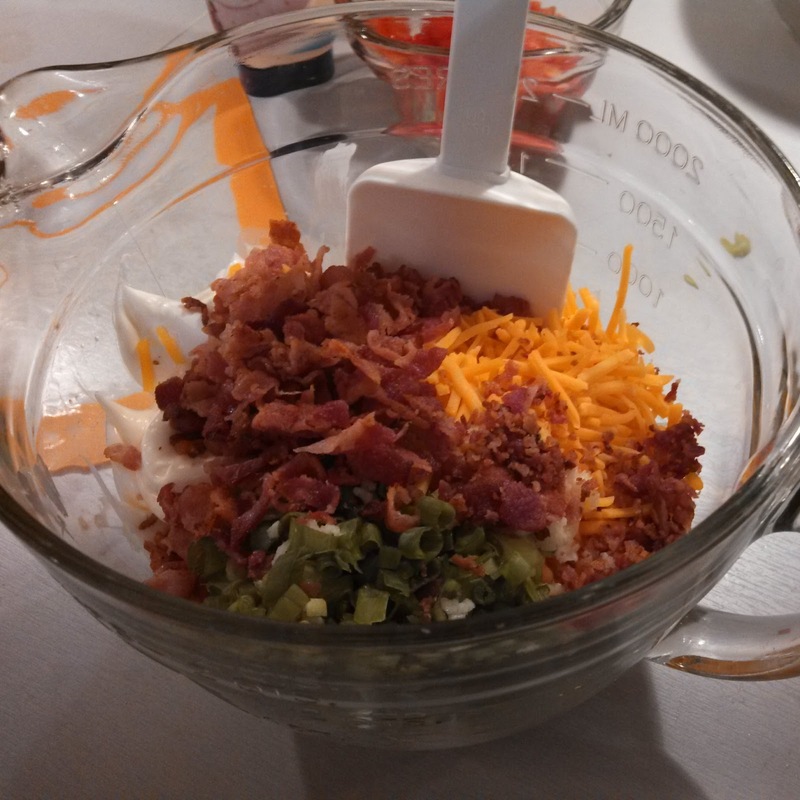 Add remaining bacon, cheddar cheese, green onions, mayonnaise, pressed garlic and 1/2 tsp of the black pepper; mix well. 4. 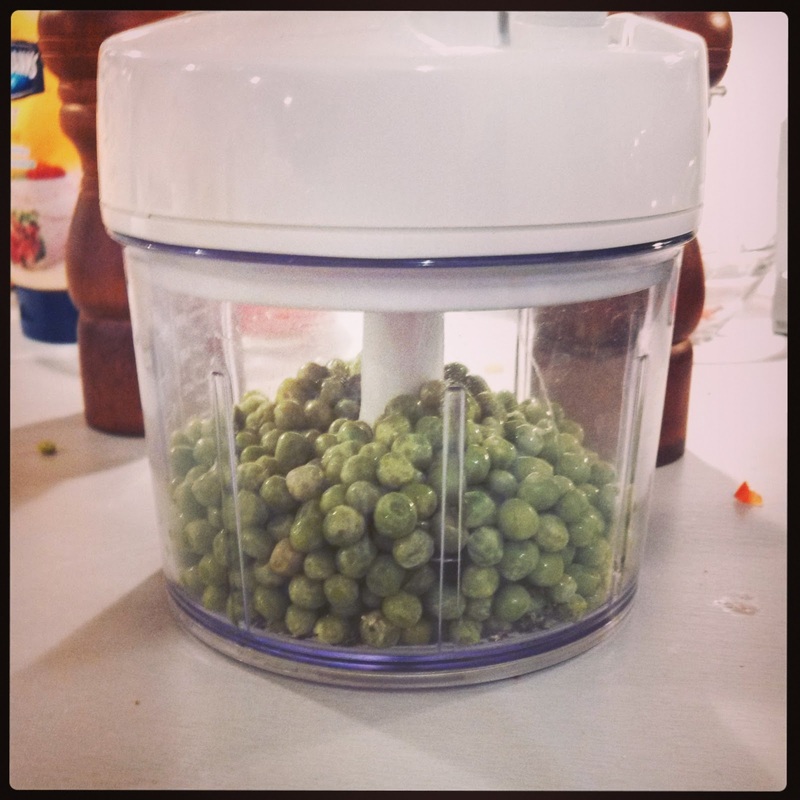 Place peas, salt and remaining 1/4 tsp (1 mL) black pepper into Manual Food Processor; cover and pump handle until finely chopped. 5. Line Small Batter Bowl with plastic wrap; spread half of the cream cheese mixture evenly over bottom using Small Spreader. Top with half of the pea mixture and half of the tomatoes. Repeat layers one time. 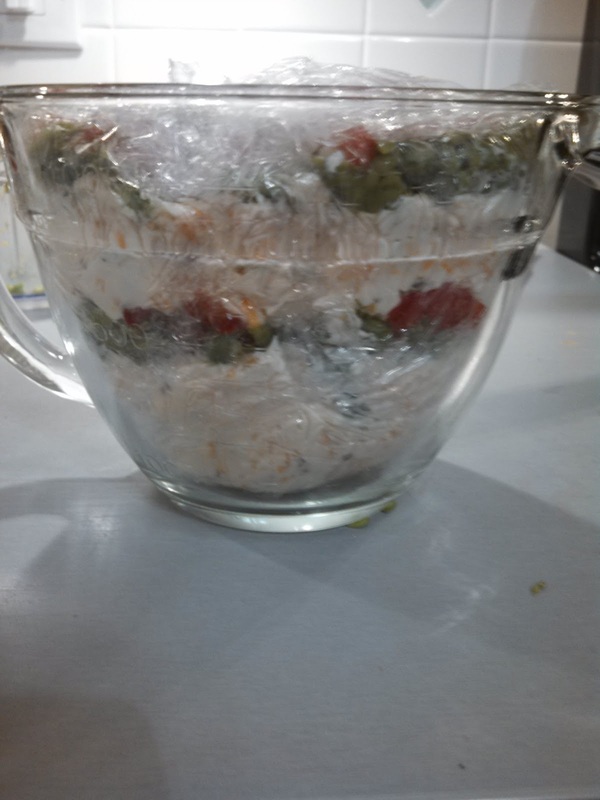 Just fold over the excess and put the batter bowl lid on for easy transportation! I accidentally forgot my platter at home but it turned out delicious! This was definitely a hit and will definitely make it onto my rotation! I especially loved that most of the time I actually have 90% of these ingredients in my house so I only had to get a few extra during my usual shopping trip. So it's like a cheese ball? It looks delicious. because we are picky eaters haha. but I'm definietly going to try this out.